Lincoln is in the middle of it all. Located in the southeast corner of the state, about 50 miles southwest of Omaha. A new cityscape communicates a thriving economy, expansion of new business, influx of talent and endless opportunity. Lincoln is sweeping top national rankings which are validating its success, yet its charming character and modesty still rings true. Be a part of the movement, experience the excitement and enjoy all that Lincoln has to offer. 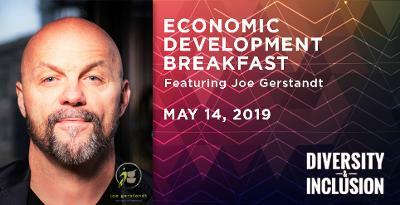 2019 Economic Development Breakfast Registration Now Open! The collective strength of our organizations drives growth and excitement about new projects in Lincoln. The Economic Development Breakfast is a time to celebrate the advancements and achievements of our continuously thriving city. This event offers a sneak preview of new ideas and developments so that you can be in the know about Lincoln’s business landscape. 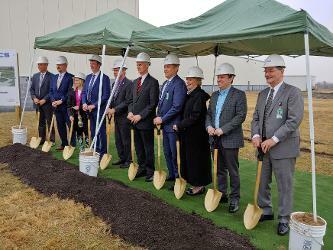 Servicing the needs of the United States Military Forces, General Dynamics and Tactical Systems is in the midst of an expansion project for its Lincoln facility. The 50,000 square foot expansion for the GD-OTS facility began in March 2019 with a groundbreaking ceremony on March 19 and completion slated for the end of 2019. As a result of this expansion, employment at GD-OTS in Lincoln is expected to increase by around 60 percent once 2019 concludes. 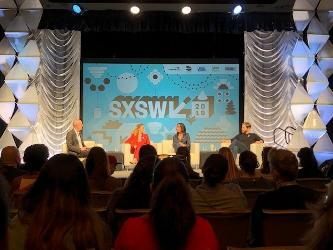 In a whirlwind five days in Austin, we took in over 40 sessions, shows, events and meetings at South by Southwest (SXSW) this year. In the Future Workplace track of the Interactive Conference, industry leaders, academics, government officials and entrepreneurs shared their insights on our ever-changing talent landscape. We’ve compiled a list of themes, trends and recommendations based on topics that consistently popped up in the Future Workplace track this year. The ability to determine a problem, bring talented people together and ultimately solve problems usually provides the necessary foundation for successful companies. The Lincoln Partnership for Economic Development teamed up with Assurity this year for another edition of the JumpStart Challenge. The goal of the challenge is to create a new company while tackling a problem faced by an employer. Teams gathered together, had less than two weeks to craft their solution and eventually were able to pitch their results to a team of judges. 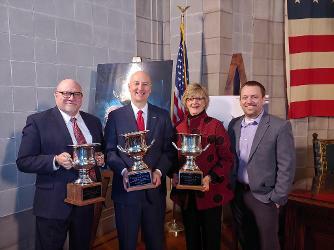 For the third consecutive year, Nebraska has been awarded one of the 2018 Site Selection Governor's Cups. This is the sixth year Site Selection recognizes the state with the most qualifying new and expanded facilities per capita, which Nebraska claims for its capital investment activity in 2018. Texas was also a winner for having the most qualified projects of any state. Lincoln also placed fourth in the 2018 rankings for Metros with a Population Between 200,000 to 1,000,000. Lincoln’s ranking is up from ninth in 2017, with 29 projects in total. The Omaha Metro area was once again at the top of the rankings for the same population class. 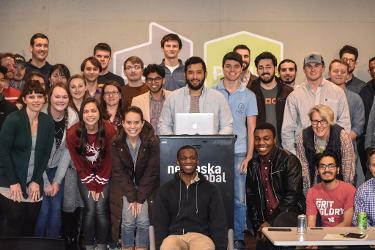 It was an amazing turnout for Lincoln’s recent Techstars Startup Weekend, with over 100 people participating in the 54-hour weekend from January 25-27 in the Capital City. The goal of the weekend was to pitch an idea for a business, form teams and get their business ready to launch within the three-day period. The Lincoln Partnership for Economic Development continues to work in our community to cultivate what has become a vibrant scene for startup businesses. However, the road to business success often has many challenges. Whether it’s providing businesses with the resources to succeed or potential employees the education required to thrive, it’s vital to present opportunities to continue growth in our community. Get your first customer. Get ten more customers. Repeat step two. That was one snippet of advice from Hurrdat and opendorse Co-Founder and President Adi Kunalic to a receptive audience at Startup Grind X, one of the many events throughout Lincoln during its seventh edition of Techstars Startup Week. The October 25 event continued a week-long series of meetups, networking events, panels and other discussions aimed to the cultivation of the robust and powerful Lincoln startup community. Throughout the week, events focused on the many aspects of beginning a startup business, maintaining it and eventually taking the next steps to grow it. 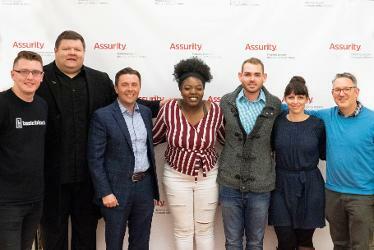 For the seventh year in a row, the Lincoln Partnership for Economic Development organized various events with the help of presenting sponsor Assurity. With events scattered around Lincoln at various venues such as Turbine Flats, The Barnyard, Fuse and elsewhere, the schedule presented opportunities to participate in both small group and larger group settings at different times throughout the day. 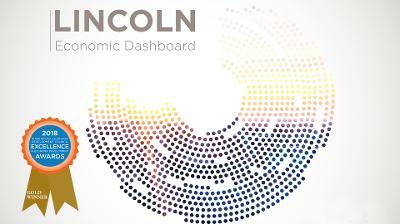 The Lincoln Partnership for Economic Development received a Gold Excellence in Economic Development Award for its Lincoln Economic Dashboard, a project in the category of Annual Report from the International Economic Development Council (IEDC). As 2018 nears its conclusion, the economy continues to boom in the Lincoln area. 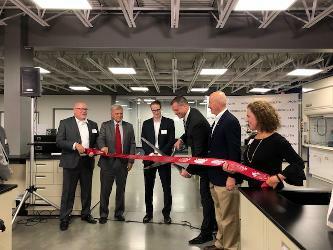 With September drawing to a close, big announcements of expanded facilities and operations highlighted some notable success stories in the manufacturing and retail areas of business. From sporting goods to natural pet foods, aerospace products and renewable energy pursuits, these expansions show that business in Lincoln is enjoying incredible success and reaching for more. This continued and substantial investment in areas such as research and development, workplace renovation and in some cases, brand new buildings, sends the message that companies can extend their successes and carry forward with ambitious plans for their companies. 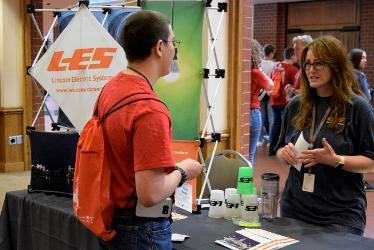 A record 511 students registered for this year’s edition of Nebraska Undergraduates Becoming Engineers (NUBE), which took place on August 16 and 17. The collaboration between the Lincoln Partnership for Economic Development and the UNL College of Engineering gives students the opportunity to meet with faculty, peers and mentors within the college of engineering and also tour various industries throughout Lincoln. Don't just take our word for it, see for yourself what makes Lincoln so great.